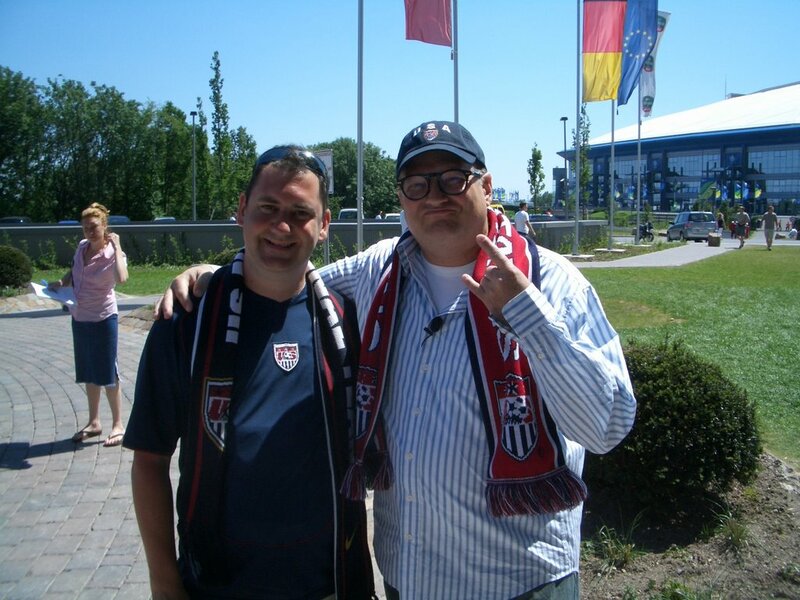 World Cup Scrapbook: Gelsenkirchen Rocks! 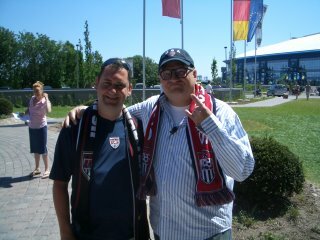 Among the U.S. fans making the trip to Gelsenkirchen was Drew Carey, who was in Germany filming a show for the Travel Channel. We caught Drew on his way out of the hotel located adjacent to the stadium while we were killing time. While he didn't seem to care that Sharon is from the Cleveland area, he was kind enough to stop for a photo. We were waiting in the lobby of a hotel right next to the stadium to get out of the heat and sit down for a bit before they opened the stadium. I was coming back from the bathroom when there was a group of people heading out the door, Dan said that it was Drew Carey so we followed him outside. He didn't really react to Dan's "let's go bowlin in Solon" line. Sorry Sharon.